NEWARK, New Jersey (WABC) -- A flight from New Jersey was forced to divert after a passenger discovered a written bomb threat on board the plane. 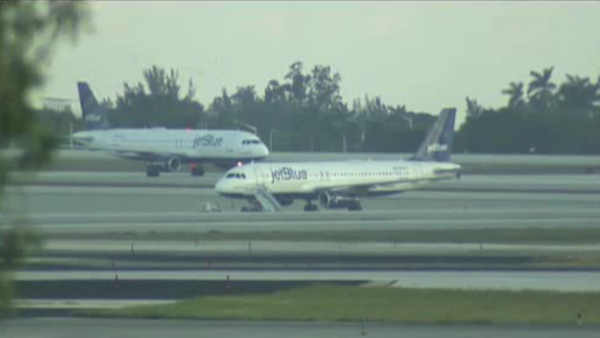 Airline officials say the JetBlue flight took off from Newark Saturday and was headed to the Dominican Republic, but was diverted to Fort Lauderdale/Hollywood Airport. The Broward Sheriff's office says the plane was cleared several hours after it landed and no device was found. The jetliner was then able to take off again for the Dominican Republic.